The police search is still on for Dr Crane after his murderous rampage in the last episode. Meanwhile the Penguin is attempting to reopen Fish’s nightclub, although Maroni may have other plans for him. Fish herself has more concerns than the loss of her nightclub when she wakes up in an underground prison, surrounded by violent criminals. So this episode, ‘The Scarecrow’ spends the majority of its runtime resolving last week’s cliffhangers. 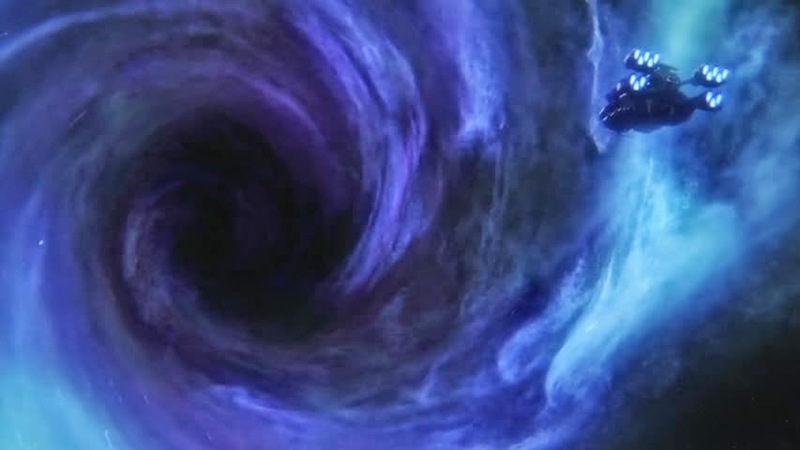 The various plot strands of this episode resolve around the concept of fear, rather appropriately. A lot of the episode follows the Crane family, filling us in with a lot of much needed backstory. We learn to sympathise somewhat with Gerald Crane, who we learn is trying to “cure” himself from having fear. A sympathetic villain is far more engaging and the successes he has with his methods do add some slight grey tones to his ‘madness’. An interesting drug addiction metaphor is used to equate Gerald’s desperate need to rid himself of fear with that of an addict needing their fix. The fact that his son, Jonathan, does not want to follow in his father’s footsteps adds an element of pathos to the episode. I like that the interruption by the police is the main reason that Jonathan’s fear removal goes wrong. A feeling of inevitable destiny follows all of the classic Batman characters who appear in ‘Gotham’, from the moment they appear their fate is sealed. It’s interesting when the character is sympathetic as we find ourselves rooting against the destiny of the character. The origin of ‘The Scarecrow’ is well handled but the Crane family owning an old scarecrow in their garden is a little on the nose. Most of the Penguin parts of this episode are relatively unmemorable due to the fact that they barely feature the Penguin. We get several scenes with Maroni and Falcone talking about how cool/terrible the Penguin is but Oswald is absent from these scenes. The scenes we get featuring Robin Lord Taylor show him redecorating his nightclub, hardly his finest moment. 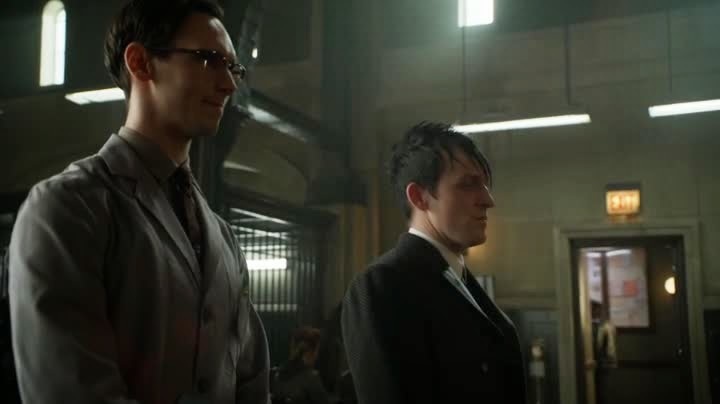 We do get one incredibly awkward moment where Oswald and Edward Nygma meet for the first time. I’m sure that this scene sent their respective fan girls crazy but it really doesn’t add anything to the episode aside from embarrassment. 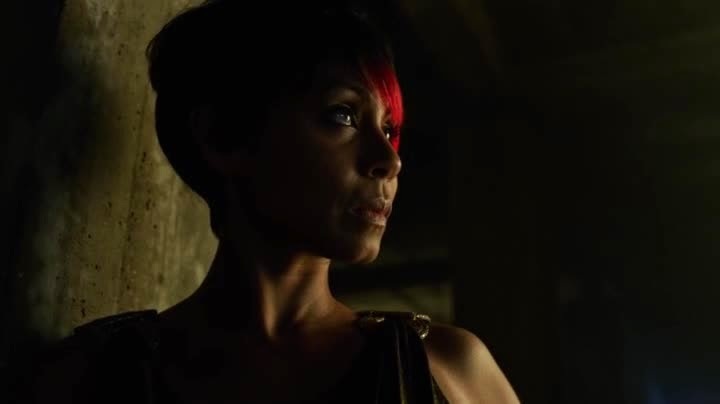 Fish Mooney’s scenes also suffer from a lack of motivation. Fish is not a character that can exist in isolation. Without her gang and club she is a far less credible villain. The prison like dungeon she wakes up in feels like an attempt to reboot her character, forcing her to regain her empire from the ground up. Without her scheming against Falcone and her confrontations with Oswald, she really isn’t that dynamic a character. Hopefully when she returns to Gotham City itself she will regain some of her purpose within the show. We also spend time in this episode following Bruce Wayne. Bruce is trying to continue a family tradition, without his family. In these moments with Bruce we are shown that he is learning to cope by himself. This change from child to young adult is an important part of Bruce’s development into Batman. 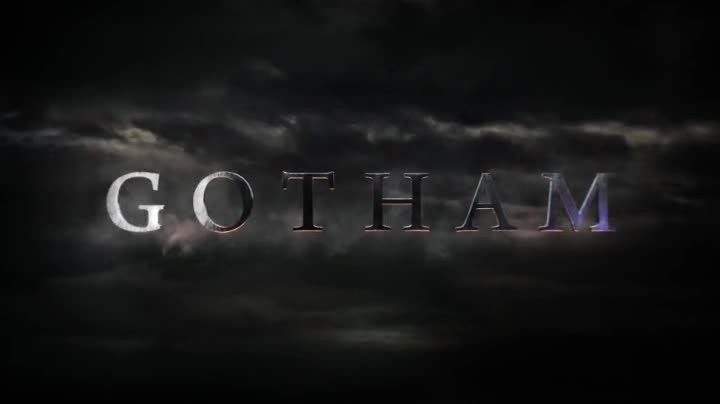 ‘Gotham’ is also developing the character of Alfred in an interesting way. We are given the impression that older repressed parts of the Alfred character, that of the soldier, are being brought to the fore in his attempts to connect with Bruce. Hopefully future episodes will continue this trend. So ‘The Scarecrow’ is a slightly above average episode of ‘Gotham’. The moments with the Crane family are very well handled and raise interesting questions about the natures of medical experimentation. Unfortunately experimental angles have been taken with the characters of Fish and Penguin which don’t entirely work. Penguin has been given power and Fish has had hers taken away, neither of these are a good fit for the characters as they have been established. I suspect that future episodes will restore the status quo to some extent. This would be a shame as character development is never a bad thing, even if in these cases it may need a bit of a reworking to truly work. So with Maroni having learnt of the traitor in his midst from Fish Mooney, has Penguin’s luck finally run out? Meanwhile a support group for people with phobias are being targeted by a man obsessed with fear. How many of the group will survive ‘The Fearsome Dr Crane’? 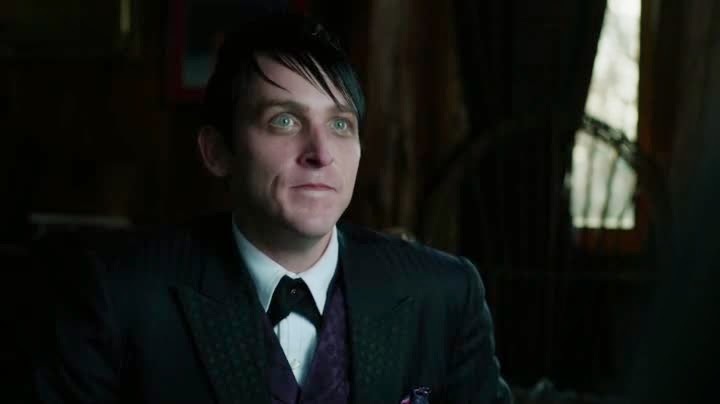 It’s a credit to Robin Lord Taylor that he subtly changes his Penguin performance depending on who he’s dealing with. As Maroni questions and breaks down Penguin’s defences, we see the transition from weak victim to confident threat. The scenes with Maroni and Penguin are nice but the conclusion, Penguin’s escape from certain death, stretches credibility to breaking point. The meat of this episode focusses on Dr Crane and his experiments on the phobia group. 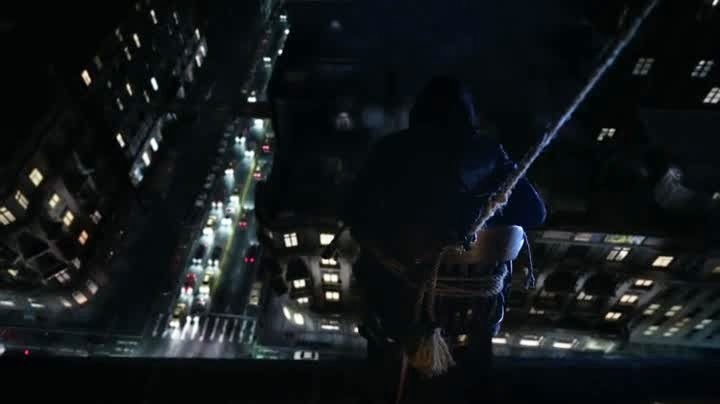 The opening shots of the episode show him dangling a man with a fear of heights off the side of a building, before hanging him off the side. Bullock’s interest in the case increases exponentially when he meets Scotty Mullens, a woman in the group suffering from a fear of drowning. Unfortunately Bullock is not the only one to have taken an interest in Mullens... So I’ve got mixed feelings about this episode. The concept of the fear group being attacked by their greatest fears is interesting but the execution leaves a lot to be desired. For example, the first murder of the man terrified of heights is chilling and sets a certain dark tone. This dark tone is then completely undermined by a scene of Dr Crane menacing a man with a piglet, the man in question having a fear of pigs. I appreciate that we need to establish that the groups’ fears are a mixture of the understandable and the outlandish but this phobia really doesn’t work within the episode. A fear of heights and a fear of drowning are both very easily understandable, even by people not crippled by them. 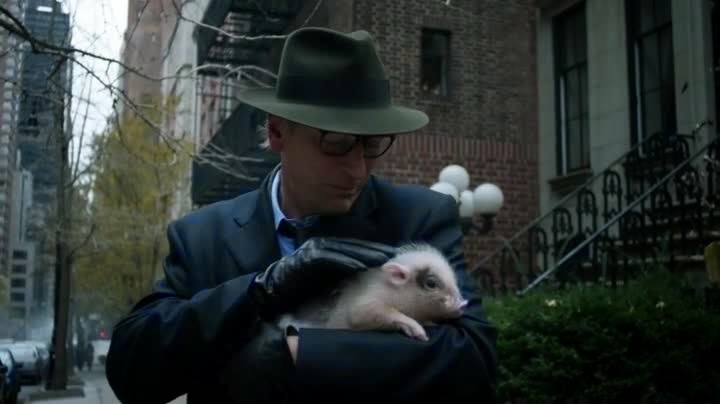 A fear of pigs is only threatening to somebody with a fear of pigs. These scenes are played out to be comedic in tone. A comedic tone does not mix well with a psychotic man killing people by their greatest fears. 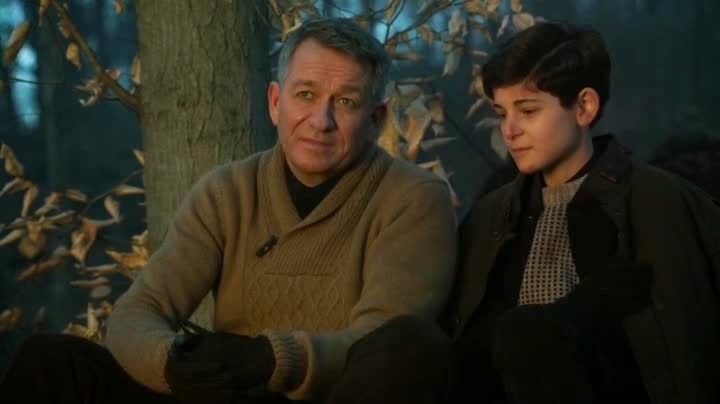 I appreciate the introduction of the Crane family, with the suggestion that the son of this Dr Crane will become the Scarecrow of Batman lore, but I wish that they had been treated with a bit more reverie. I am also curious about the introduction of a love interest for Detective Bullock. I’m interested in what this will mean for the future behaviour of the character. 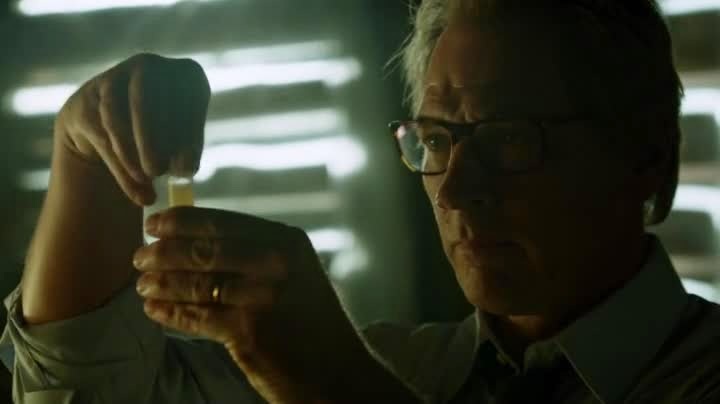 A smaller subplot focuses on the suspension of Edward Nygma from the GCPD. Nygma has been caught investigating outside of his job remit one too many times and is punished. 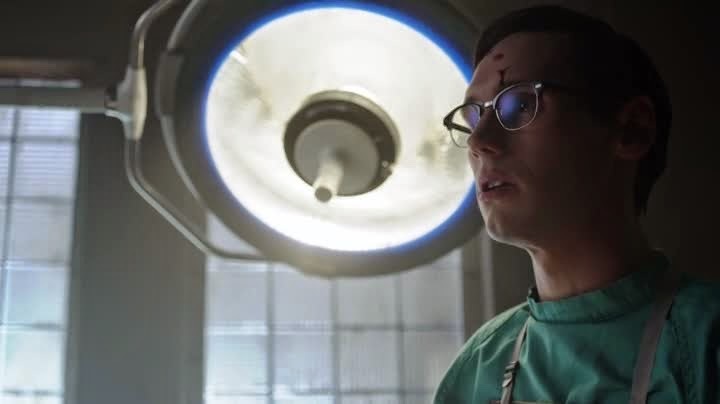 It’s nice to see how easily Nygma ruins a man’s life in order to rectify this situation. It’s a nice nod towards the psychology of the man who will become the Riddler. So this is another place holding episode of ‘Gotham’, one that seems to be more interested in establishing fallout for future episodes than telling its own story. I feel that the handling of Dr Crane and his obsession with fear should have been better handled, particularly since the episodes featuring Jack Gruber seemed a lot more unnerving. Overall however this episode worked pretty well, despite having the stupidest cliffhanger of the season yet. Hopefully the setting up from this episode will play nicely into the next episode, titled simply ‘The Scarecrow’. So with the Federation's war with the Bugs still underway, a new threat appears in the sudden religious conversion of a high level commanding officer. With outspoken religion being against the law within the Federation, is this man merely breaking the law or is their more at stake? 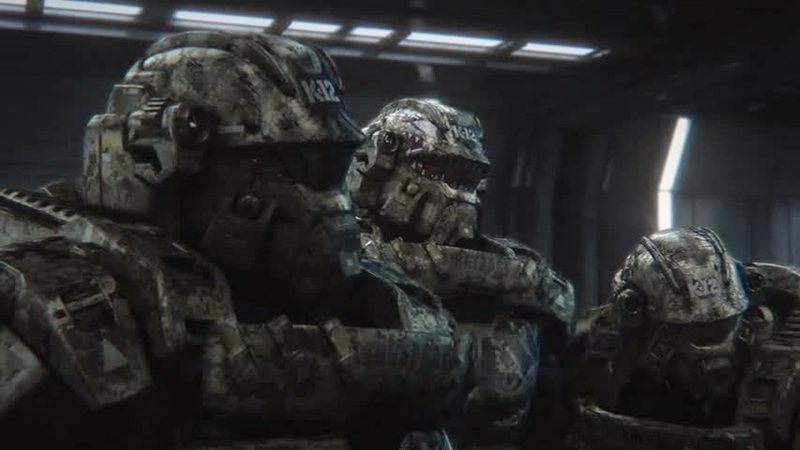 So the universe of the Starship Troopers franchise can be many things it seems. The first film in the series was a satirical action film, the second a bodysnatching horror. With the third film in the series, ‘Starship Troopers 3: Marauder’, the series goes back to its roots of combining action with a social message. Unfortunately this attempt to relive the glory days of the ‘franchise’ is what brings it down as a film. 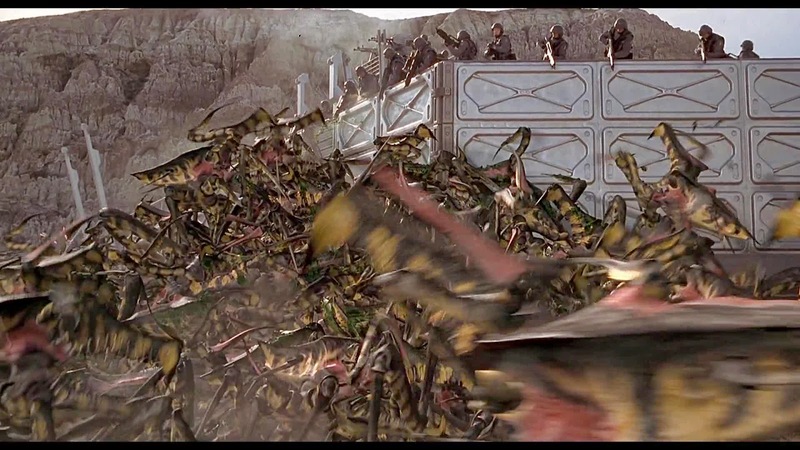 So the first ‘Starship Troopers’ had a lot of subtle undercurrents to its story. The second film was less subtle but had some deepness at its core. This third film makes a severe attempt to carry a message and seemingly decides to do it out in the open, foregoing any subtlety or subtext in the process. 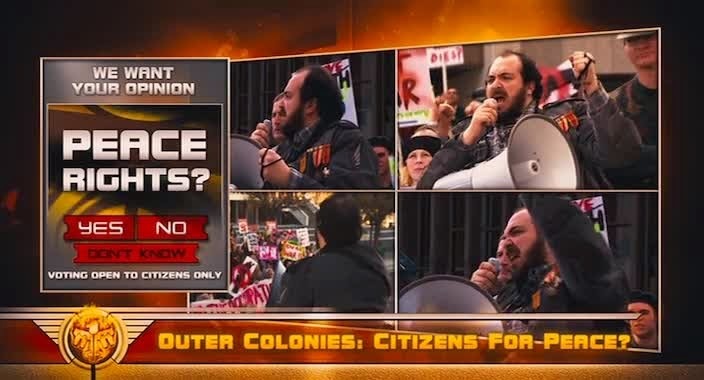 So the message to ‘Starship Troopers 3: Marauder’ is that religion is being used by the Bugs and Federation alike to control their citizens. Now as a concept, working in religion to this universe has a lot of potential, what with the nature of religious war with crusading heroes. As it is, without subtlety we get painfully awkward moments where characters explain the nature of faith to each other, ignoring comically large holes the writer allowed for the audience to laugh at their faith. 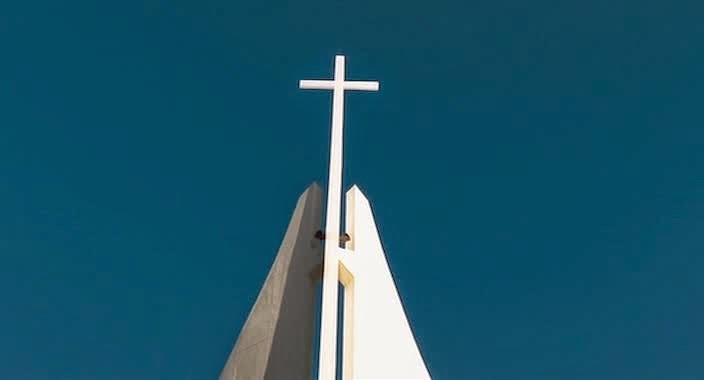 Now I’m not a religious man, so I’m not offended by the anti-religious vibes off this film. I am offended however by bad writing. Imagine if the religious conversations/speeches of True Detective were rewritten to remove the intelligence from them, that’s what you get with ‘Starship Troopers 3’. The script is constantly nudging the audience, waiting for a reaction as if it is trying to actively offend. 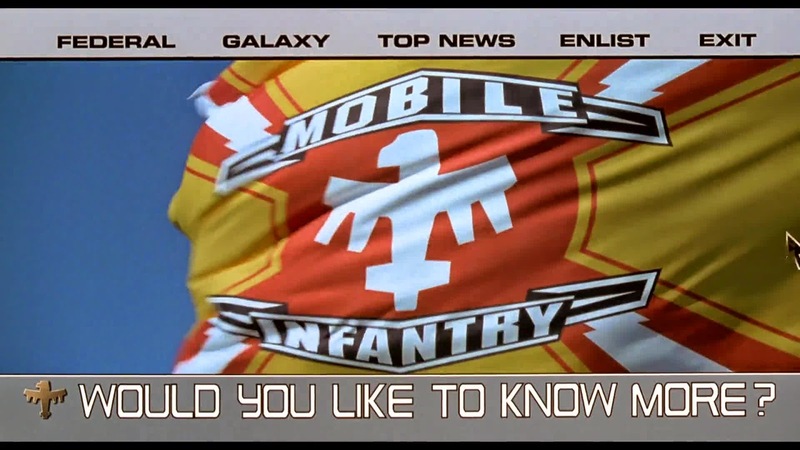 Starship Troopers without any subtext just comes across as obnoxious. In addition to that it also loses any sense of knowing novelty which holds it together. The universe these movies take place in is dumb, it barely makes sense. However as a parable story of human nature it can exist as an idea, as a concept, without concerning itself with truly making sense. I’d love to say the above problems were the only issues with the script but the entire thing barely holds together, it’s full of plot holes and half developed story strands. 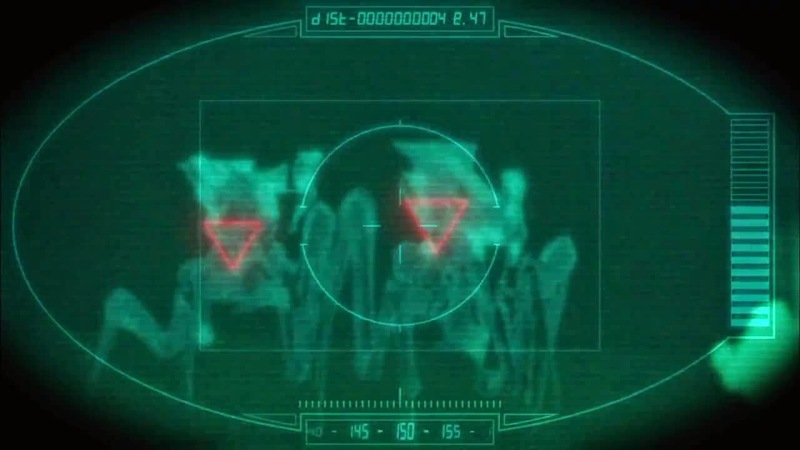 I wonder if the script was stitched together, Robotech style, from a variety of different unrelated scripts. The story lacks any real focus, jumping from place to place with no obvious sense of direction. One minute we’re in a gunfight, the next we’re in a secret base looking at experiments. The film seems to run out its time and just end, as if it was a general sightseeing tour of the universe, not a narrative story. 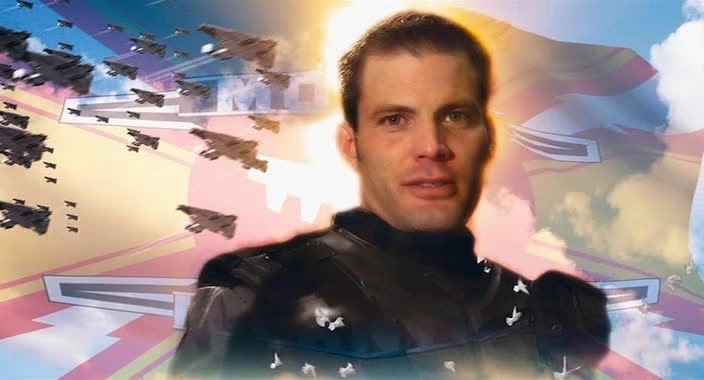 An effort was made to get back Casper Van Dien to reprise his role of Johnny Rico from the first film. 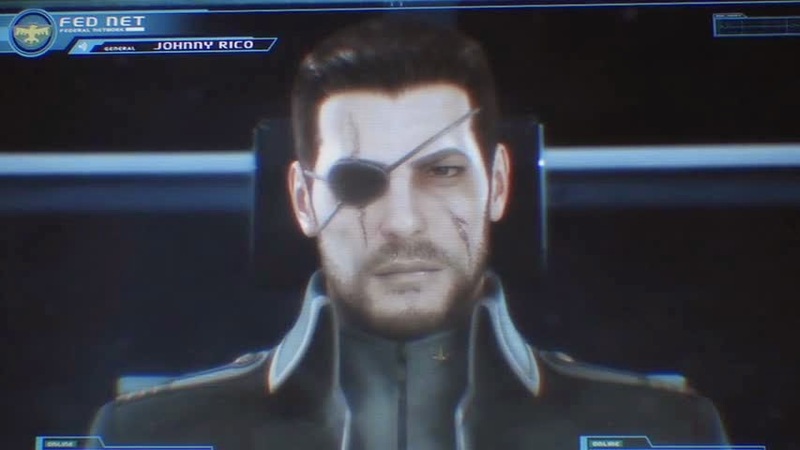 I honestly don’t understand why they did this however; considering the character seems to be completely different to the Johnny Rico we left in ‘Starship Troopers’. It’s hardly surprising, considering he seems to be about five different Johnny Rico’s just within this one film. He isn’t the only one to have this issue, as every characters’ motivation and attitude constantly changes for no reason. Well I say no reason but that isn’t true, they change to further the plot. Technically this film also suffers from a lot of issues. The special effects are noticeably worse than even the effects in ‘Starship Troopers 2’, despite this film having three times the budget to play with. Now I could forgive bad visual effects, after all the sets for this film look quite expensive. I can’t forgive a large number of shots being out of focus however. I was genuinely amazed at how many close up shots of the cast seem to be instead focused on the blank wall behind. To see this type of simple mistake in a film of this scale is really, really bad. So obviously I didn’t much like ‘Starship Troopers 3: Marauder’. I really don’t understand how the writer of the first two films could write this? I’m genuinely puzzled. The script has some interesting ideas but they are so badly handled. 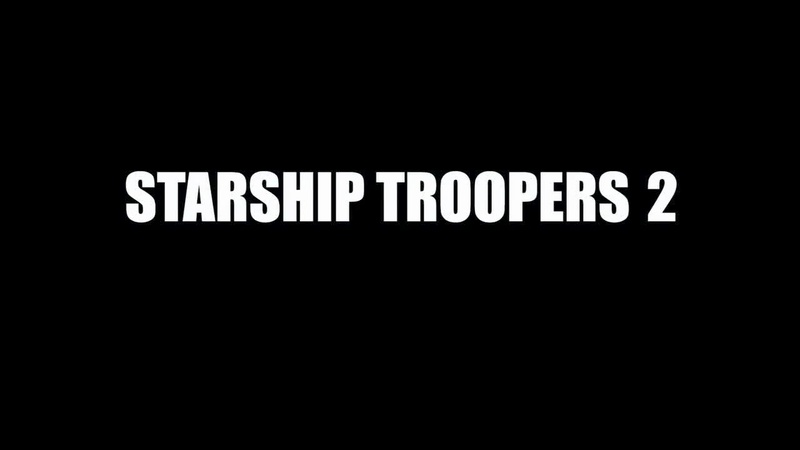 If you really love the universe of ‘Starship Troopers’ and I mean love it unconditionally like a mother, give this a go… That being said I liked ‘Starship Troopers’ enough to watch two straight to video sequels and I didn’t like this film. So with Earth at war with a race of insectoid aliens nicknamed ‘Bugs’. It’s up to the army of the federation, the ‘Starship Troopers’ to stop them. We follow a group of idealistic high school students as they enlist and realise that war is not everything they had been told it was in the media. So I’ve always been interested in watching ‘Starship Troopers’ but the incredibly mixed reception has always put me off. I love ‘Robocop’ and ‘Total Recall’ so I always had an inkling that another Paul Verhoeven directed, science fiction film must have some merit at least. So having finally watched it, is ‘Starship Troopers’ ready for battle, or ready to be put out of its misery? 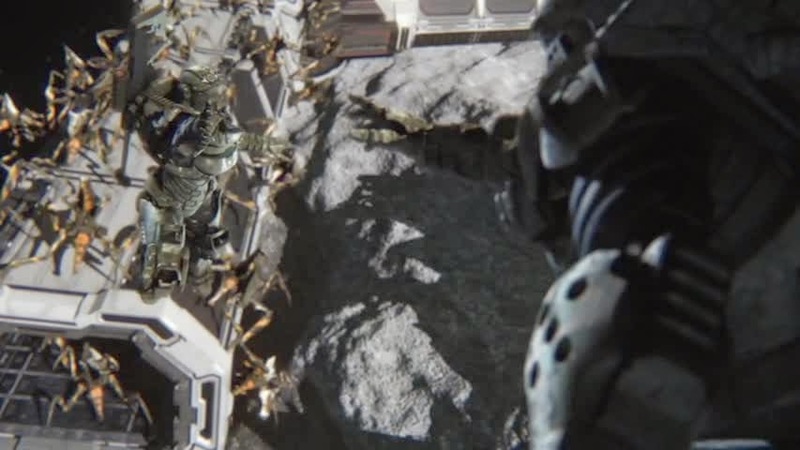 So ‘Starship Troopers’ has some issues, issues which are apparent very quickly. For one thing the film takes a very long time to get started, choosing to spend a lot of time showing us the civilian life away from the army. It took almost an hour for ‘Starship Troopers’ to fully engage me, with too much time being given to set up the, frankly archetypal teenage characters. Seeing these people live out their teenage high school lives also shows how out of place they are, given that they are played by actors clearly pushing thirty. These scenes feel more like ‘Power Rangers’ than anything else. When war breaks out however, everything falls into place very well, I just wish it had been twenty minutes earlier. The term ‘Verhoeven-Esque’ has entered the filmic lexicon to indicate any films which feature extreme unrelenting explosions of gore. You are in no doubt while watching ‘Starship Troopers’ that Paul Verhoeven is at the helm, blood and guts constantly fly in all directions. Unfortunately the blood and guts are often generated using CG. I appreciate that, given the special effects heavy nature of the film, this was somewhat unavoidable, although it really doesn’t have the same weight as practical gore. 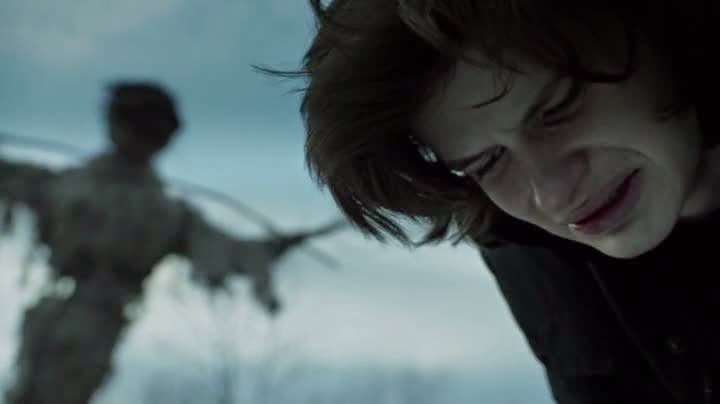 The gore is also somewhat constant throughout the film, which undermines the dramatic effect of it. In ‘Robocop’ or ‘Total Recall’, the violence is used to shock and upset us, in ‘Starship Troopers’ it is an everyday part of war. An everyday part of that we quickly get conditioned to, as the soldiers themselves do. 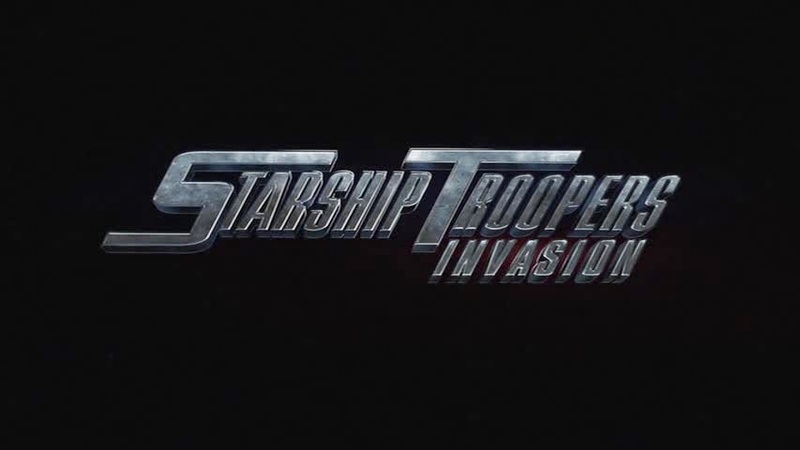 The direction of ‘Starship Troopers’ is very smart in ways such as this, as is the production. We as an audience follow the characters as they make their way through the army. We follow them from their first day to, on occasion, their last. They develop to what happens around them and our attitude towards them changes as they do. 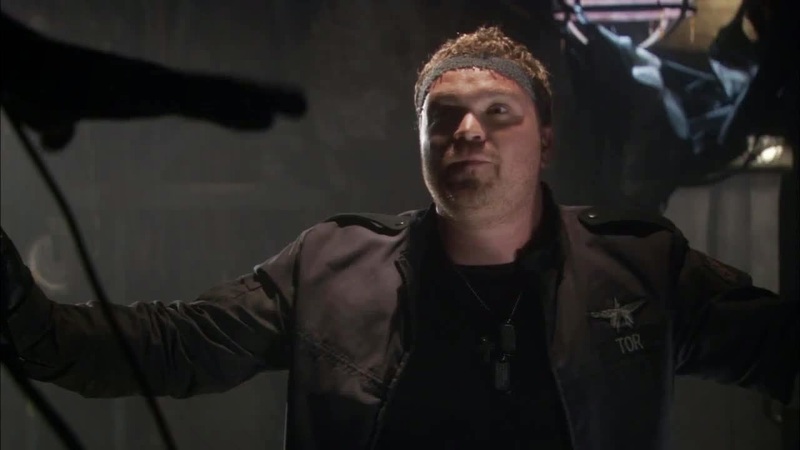 This active communication with an audience is a hard thing to get right and the best moments of ‘Starship Troopers’ are when this crossover between artist and audience occurs. Unfortunately this is also where the primary issue comes with ‘Starship Troopers’. A lot of time is put into making us care about Johnny Rico, we spend the majority of the film following him after all. Unfortunately we also spend a lot of time following his girlfriend, Carmen Ibanez, who we barely get to know. 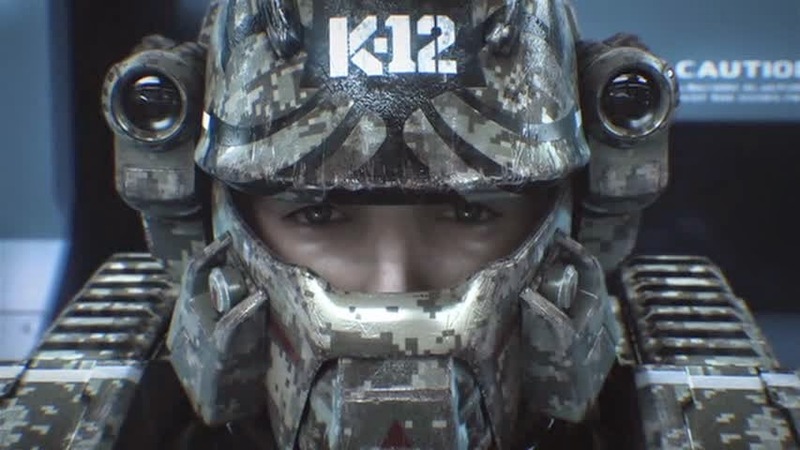 I found myself wanting to learn more about the Mobile Infantry and Johnny, I found myself becoming frustrated whenever the narrative would leave him to follow her. I know that Paul Verhoeven understands character well, so I wonder if this was deliberate. Johnny’s major journey is to move on from Carmen and grow up. I wonder if we spend time with her to see just how uninteresting she is, so we get over her also? Hmmm, I may just be over thinking it but with Verhoeven at the helm I can’t be sure. 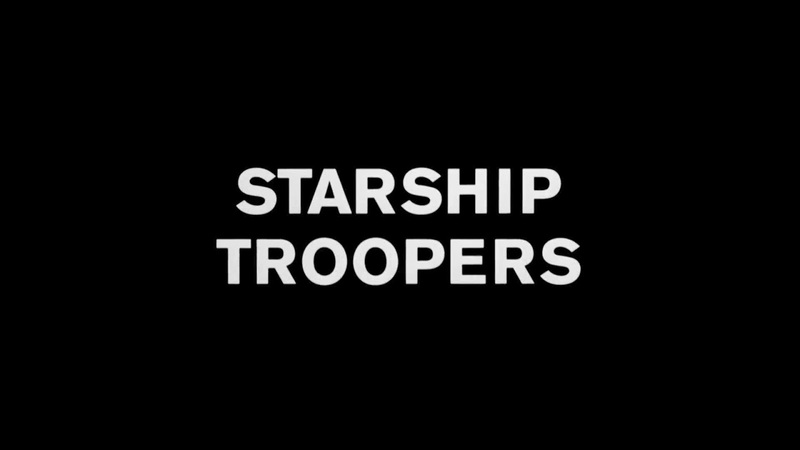 ‘Starship Troopers’ is incredibly 90’s. Every part of the film reeks of a production made during that time. This extreme dating will increasingly be in the films favour as more time passes however. Any film that is entirely stuck in the moment of time it was created tends to date quite well. It is the films which try to be futuristic or historical which date the worst. ‘Starship Troopers’ not only captures the fashions and dialogue of the 1990’s but also the politics and changing face of technology. The rolling news reels which punctuate the film have clickable online adverts for example. In much the same way that ‘Robocop’ captured the militaristic rise of corporations, ‘Starship Troopers’ shows their occupation over the masses via media control. So ‘Starship Troopers’ feels a bit messy at times. When it works, as it does during the battle scenes, it works brilliantly. When it doesn’t work, it drags quite badly. Overall ‘Starship Troopers’ wins out for a recommendation. 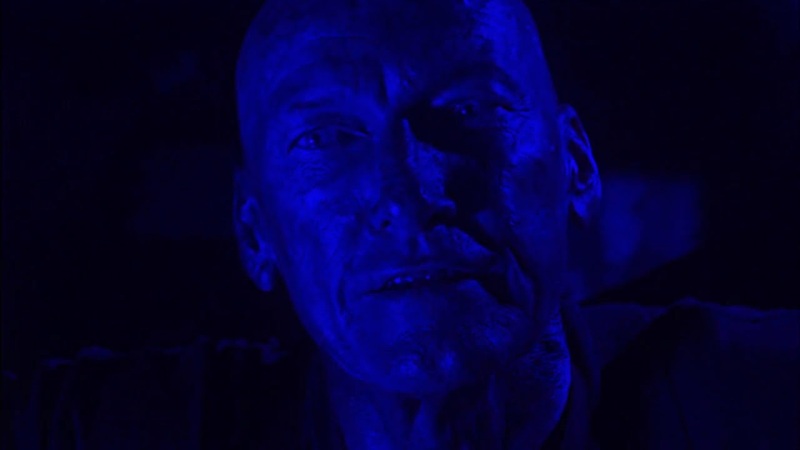 It is still an impressive film visually, despite having been made almost twenty years ago and the story and characters are likeable and engaging, for the most part. ‘Starship Troopers’ feels like a propaganda film. Any film that rouses you to fight against a fictional ‘enemy’ is one worth giving your time.